As we enter the last couple of weeks of the first annual Connected Educator Month connectededucators.org, on this episode of TTT teachersteachingteachers.org/feed/podcast we celebrate another connected educator, Kevin Hodgson dogtrax.edublogs.org and his work with 6th graders epencil.edublogs.org at the William E. Norris Elementary School wmnorris.com in Southampton, MA. Kevin is also the technology liaison with the Western Massachusetts Writing Project umass.edu/wmwp and a co-editor of the book collection Teaching the New Writing: Technology, Change and Assessment in the 21st Century Classroom store.tcpress.com/ 0807749648.shtml that examines the role of technology in the writing classroom in the age of standardized testing and assessment. Kevin says that he "also dabbles in the world of classroom-based humor" through his Boolean Squared webcomic www.booleansquared.com. 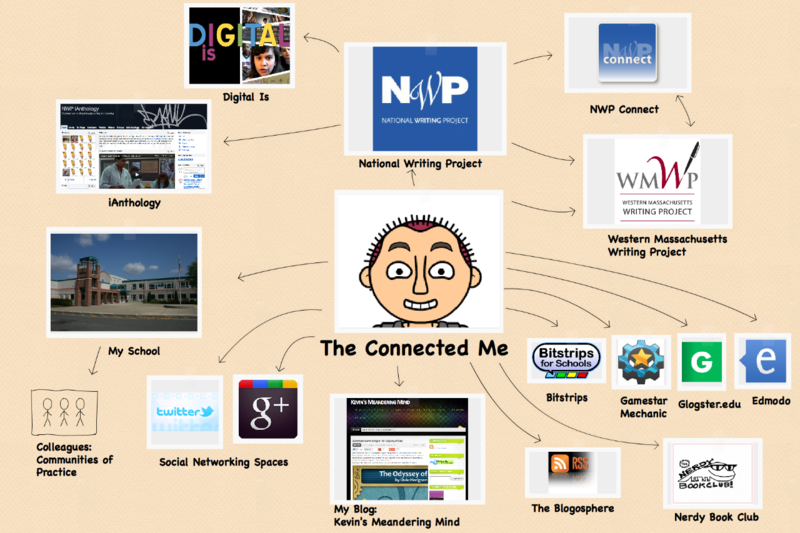 In addition to all of these links, go to Digital Is digitalis.nwp.org/users/dogtrax to find a lot examples of his students' work and to see how and why Kevin does what he does in his classroom. If, like Kevin you're interested to explore visually as well as in text, click away on Kevin's "Clickable Connected Me." Learn more about Kevin in this webcast, recorded on June 27, 2012. Welcome to our first video festival. On this episode of TTT, we screen two-and-a-half student documentaries by middle school students in George Mayo's classes and two by high school students in Joel Malley's classes. Monika Hardy and Paul Allison were joined by Troy Hicks, Rebecca Warner, and Eric Taddei. Is It Time To Rethink the Drug War? from mrmayo on Vimeo. skate final project from matt gress on Vimeo. Technology. How it has changed us. from Nicki Webb on Vimeo.